We are Big Wave Shrimp. Opened in 2006 and still running strong, we are a family owned and operated business with one goal in mind – to make our customers happy! 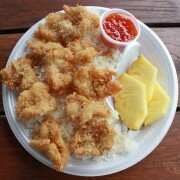 Our mission is to have each and every customer who dines with us leave with a stomach full of ono food and a heart full of aloha. 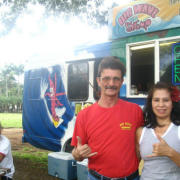 When you sit at our table, consider yourself a part of our Big Wave Shrimp ‘ohana! We are proud to announce the launch of our brand new website. Here you will be able to browse our yummy menu options, shop Big Wave Shrimp merchandise and keep up with our happenings through the BWS blog. So kick back, relax and enjoy your time with us.